If you’re starting a brand new business – or trying to get more action out of a fixed marketing budget – here’s a tip: social media is almost free. A budget of $100 a month plus an hour or two a day of time is typically enough investment to generate a return. The trick is to work smartly, make connections, and listen carefully to what consumers are saying. Which Social Media Networks Matter? Facebook. Facebook is the biggest and most popular social media network on the planet. 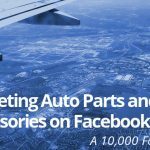 There are lots of private Facebook groups dedicated to specific automotive interests, and participating in these groups is usually a matter of just asking to join. Instagram. 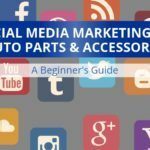 Instagram is a fantastic place to reach younger automotive enthusiasts, especially if you’re trying to promote a new accessory or raise awareness about your brand. YouTube. 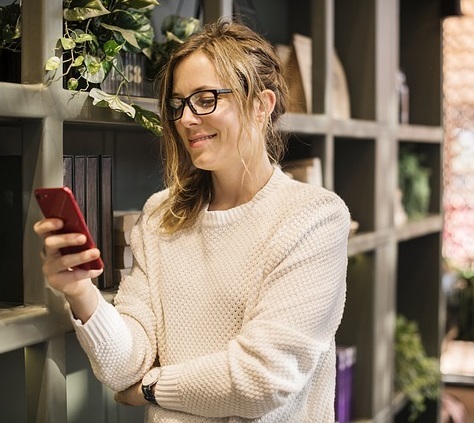 YouTube is not typically considered a social network, but there are opportunities to connect with individual consumers as well as YouTube creators via the comments section. The challenge is that you have to be willing and able to publish videos on your own YouTube channel to really leverage this platform. Reddit. Reddit is a great place to promote a website, but it requires a fairly substantial time investment to be successful. You can also make an argument for being on Twitter, as it’s a great place to reach auto journalists and bloggers. Anyone can go on social media, like random posts or shares, and then throw up a link to their website. In fact, a lot of businesses do this everyday. While this “shotgun” approach to social media can work, it’s not efficient. Instead, work towards a set of goals with a specific plan of attack. What do you want to accomplish? 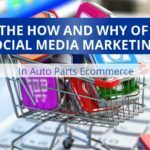 Are you trying to generate some sales on social media? 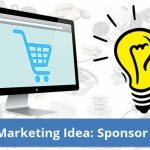 If so, you want to try and communicate with consumers in the purchase process. Look for people asking questions or talking about a problem and offer up a suggestion. If you’re trying to build a brand, post content that promotes your brand’s values. Understand who you’re trying to reach. If your company manufacturers and sells license plate covers that defeat photo radar, the people you’re trying to reach are probably sick and tired of paying photo radar tickets. So, the content you post should reflect that person’s concerns and interests. Know what success looks like. When it comes to marketing on social media, there’s no finish line. So, instead of focusing on a metric like “1,000 page fans” or “$2000 a week in revenue from social media,” focus on comparing growth to effort. If, for example, you’re getting more likes/follows/shares per post now than you did 2 months ago, that’s success. If you’re seeing a steady increase in website traffic from social media sites, that’s success too. Listen. Social media is a great place to find out what consumers are saying about your company, your products, and the industry as a whole. The trick is to listen to what’s being said, reflect on what it means, and determine a response. Just because you’re on a shoestring, that doesn’t mean you can’t have some tools! 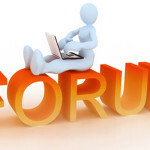 Buffer is a tool that can help you manage posts, track replies and mentions, and keep track of conversations. It’s also available for free. Hootsuite is another option, only it takes work to find the link to the free plan. The primary reasons to have these tools is that they a) save time and b) help you stay organized. Primarily, these tools are used to schedule posts, with the added benefit of being able to plan. If, for example, you know about some event happening later in the week that’s potentially relevant to potential customers (the start of a race, the announcement of a new model, a holiday, etc), you can schedule a few posts to leverage that fact. Social media marketing is often about facilitating consumer advocacy. If your company can sell a product to a consumer because of a great social media post, that’s good. If your company can sell a product to a consumer and 20 of her friends because of something she posted on social media, that’s fantastic. As time allows, it’s essential to talk directly to consumers that interact with your company on social media. That connection might be as simple as thanking someone for a positive mention, or as challenging as resolving an issue with an upset consumer in a public forum. But these efforts have value above and beyond the interaction – over time, consumers come to appreciate and respect brands that take this individual approach. Put more simply, be real with real people. Even in business, social media is social. Be human. We talk about listening a few times in this article, and there’s a reason for that: the best social media marketers spend a lot more time listening to consumers than they do posting. The key here is to sit back, look for patterns and trends in what consumers are posting, and reflect on how your company is responding. That’s better than a good percentage of the industry, and it isn’t much of a time commitment either. Of course, your company can do a lot more than this too…just remember to work smartly, make connections, and listen close.